American Custom Converting’s recent completion of the certification process to the ISO 9001:2015 standard provides confirmation that the Green Bay, Wisconsin-based company is committed to quality and customer satisfaction. ACC is a provider of converting and lamination solutions for customers across the United States. The ISO 9001:2015 certification includes specific requirements for a manufacturer’s quality management system. ACC’s quality policy reads: Through a strategy of continuous improvement, ACC is dedicated to meeting customer requests with integrity, value and service. A new 9 Septembar quarter-fold machine is ACC’s latest equipment investment geared toward expanding converting capacity in the nonwoven segment. 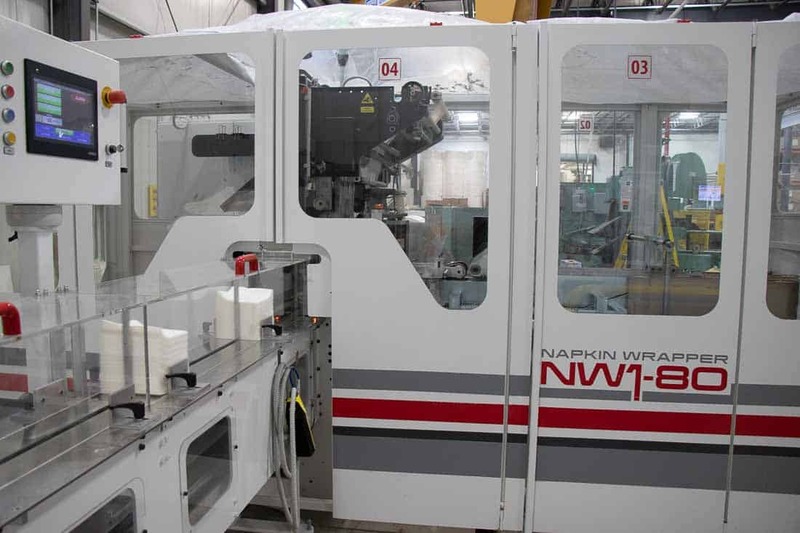 ACC’s quarter-fold machine currently is set up for a 13-inch cut, primarily for wipes. The quarter-fold machine output is fed into an automatic Stax NW 1-80 overwrapper that includes the capacity to run registered film. For more information on American Custom Converting’s ISO 9001:2015 certification or new quarter-fold machine go to http://www.acconverting.com/ or call 920-494-3258.